The room has a large bed of 135cms x 190 cmts and an auxiliary bed 70 x 170 cmts for children under 12 years. It has an area of ​​20 meters. square. It is equipped with TV, small refrigerator water heater other than milk, a sandwich and cups and plates to make breakfast. It has a bathroom in the same room with shower, hairdryer and toiletries. It is located on the first floor of a unique building, recently renovated (2013) and has a decoration. This room and the owners rapahel and Concha,are so nice. 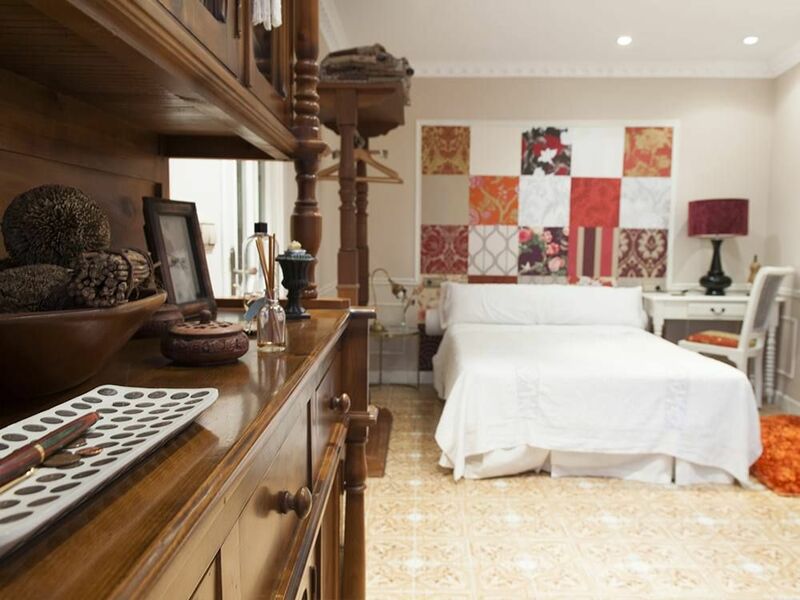 Its a beautifully decorated and clean room, with bathroom and the owners even provided bottled water, juice,coffee and few items for breakfast. In the small town you have acces to a nice walk / hike to the geopark, a small beach and swimming areas and nice restaurants and bars that are within walking distance. It such a cute small town and easily accessible to surrounding areas like san sebastian and Bilbao (about 45 min). We also drove to do tours in Astiagarraga and Elorrio and its about the same distance. Overall the place is great for two people and the owners where so friendly... we checked in really late and Raphael was very understanding and we really appreciated that...I would definitely go back! Muchas Gracias , por vuestro amable comentario !! siempre estaremos encantados de recibiros . Turiya y su familia han sido unos huespedes encantadores , amables y muy interesados por conocer la zona y con un comportamiento excelente con nuestra propiedad . the warmth and kindness from another era. We hope to return again someday. Très beau village, très beau temps, chambre très bien équipée . Avons passé un très bon séjour, de belles visites à faire dans le village et ses alentours , rien à redire de la location, tout nous a plu, sommes prêts à y retourner. Merci à Raphael pour sa disponibilité, toujours présent pour répondre à nos questions. Aurions bien voulu le rencontrer. Muy satisfechos. Gracias por todo. Patrick ha sido un excelente huesped amable y muy cuidadoso con nuestra propiedad, estariamos encantados de recibirle en el momento que lo deseen. part of the Camino de Santiago from the coast, at the foot of this road in the district of Astigarraga is one of the oldest churches in Guipúzcoa of Romanesque-Visigothic next to an old road. Also available in their environment many routes for hiking, both coastal routes toward the mountains of how interior. Also part of the Flysch route configured by the coastal space Mutriku-Deba-Zumaia declared a UNESCO Geopark how protected by offering sight geological strata over 50 million years old and from which guided tours are offered both by Sea how land. how Urdaibai Estuary declared a UNESCO Biosphere Reserve or the painted Oma Forest sample of harmony between nature and human presence.